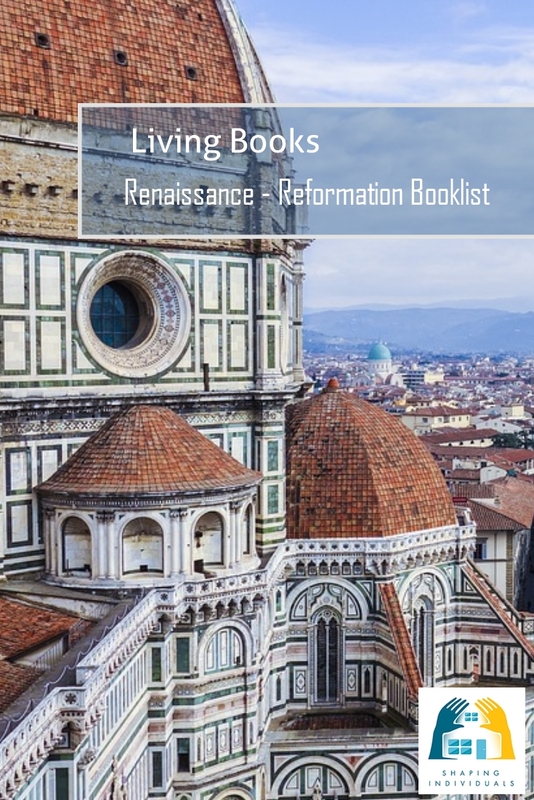 A Living Books History curriculum comes alive because you walk the streets with the Reformers and sit in the studio of the Renaissance artists! We have enjoyed most of these living books across the years. Some we have read aloud to our children and others have been chosen for them to read on their own. They help you enter the time period by walking alongside a real character through their culture, their streets, their families and face their battles. Find out more about creating your own history living books curriculum. 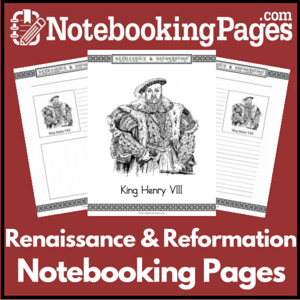 More links to resources and history project ideas for the Renaissance and Reformation at the bottom of the page. If you've spent a bit of time on my site, you'd know that we love reading together and living books are the best way to do that. You can explore any subject with living books and that's why we just absolutely love historical fiction. It brings your entire family into the time period where you meet the characters, feel their anxieties, mull over their decisions and get to live life with them for a while. 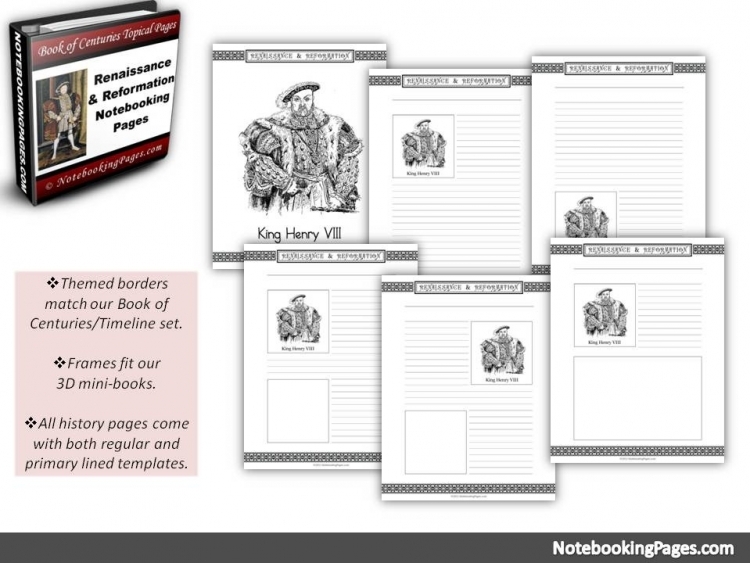 In creating your own Living Books History Curriculum, you can read aloud and study the homeschool history time period together. These are the books we read aloud when studying the Renaissance and Reformation. This time period is filled with exciting historical books which allow your children to live the time period. I have selected our favourites in the Reformation to list below. Others which could have been included are the Bible Smuggler. Wonderful titles here focus on the great reformers: Ink on his Fingers; The Beggars Bible; The Man who Laid the Egg; Rivers of Grace; The Queen's Smuggler and more. We have enjoyed Hillyer's The Child's History of the World and if you like his conversational style, you would also like Hillyer's book on Architecture. It includes photographs and a lesson manual. Filled with all the details of art, history, and architecture that make learning interesting, this unique subject will teach your kids to recognize the types of architecture they see around them everyday, as well as the types they're likely to see on TV or field trips. The text is the core of the course, and includes glossy black-and-white photographs with simple, conversational text on grass huts, ancient temples in Greece, Stonehenge, famous Roman architecture, arches, early Christian buildings, cathedrals, mosques, English homes, domes, columns, and more. The accompanying Art Card Portfolio features full-color photographs of many famous buildings. The lesson manual includes instructions for the teacher with objectives, an introduction, application questions, art card connections, and activities; an answer key is also included. 7th Grade. If you borrow or buy some of these living books for your family, and this is the only thing you do - your children will have lived with the real characters and have a far better understanding than they would if they were required to read one or two chapters out of a textbook. Using living books in this way is certainly a far more effective way to study and understand a historical time period. And for those who want to structure their history living books curriculum around G.A. Henty Books - here are the selection for this time period. Henty according to time periods here.